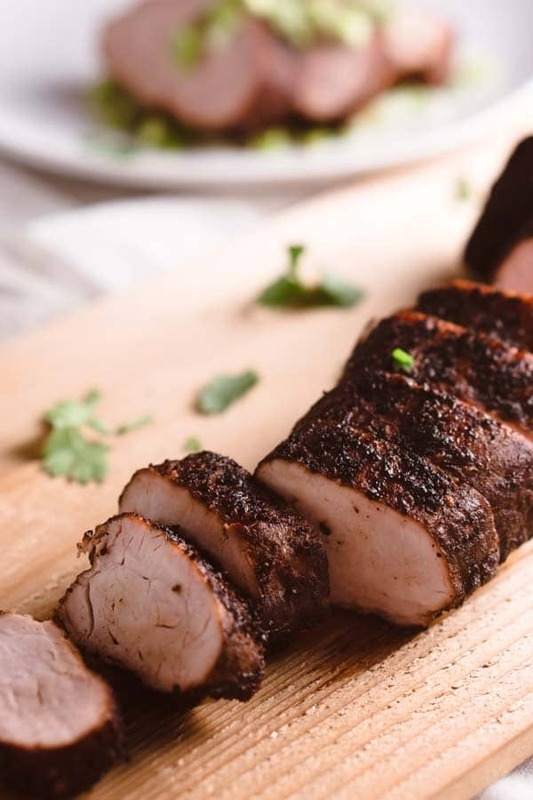 This low carb pork tenderloin recipe is smoked with a homemade dry rub and bursting with flavor! 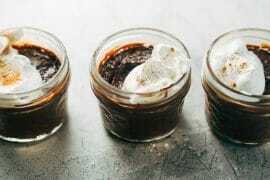 We served it with my tomatillo pico de gallo and could not get enough. 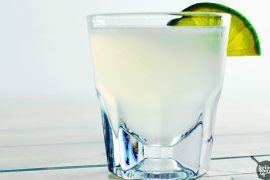 Next time, I think we’ll make two! This is easily the best pork tenderloin recipe I’ve ever made, and an additional tenderloin would be SO easy to portion out as meal prep for the week. 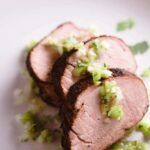 I could eat this pork tenderloin over and over without tiring, making it an excellent meal prep candidate! Pork tenderloin is lean and tender, which can make it a pretty unforgiving cut of meat if it’s overcooked; once it’s overdone, it becomes tough and chewy. Get the temperature right? So delicate and tender. Be sure to keep your eye on the heat while it’s on the smoker! I like my pork tenderloin medium, so when I’m using it for meal prep, I cook it to medium rare instead of my desired temp. That way it doesn’t overcook when I reheat it. Just a quick tip for the meal preppers! Pork tenderloin is an excellent option for those limiting fat intake on the keto diet; it’s super lean but still, packed with flavor. 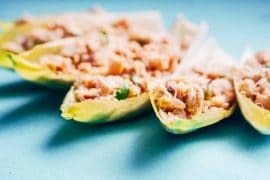 Since most keto pork recipes use fattier cuts, I wanted to be sure to post something for the folks that like (or need) leaner meat. 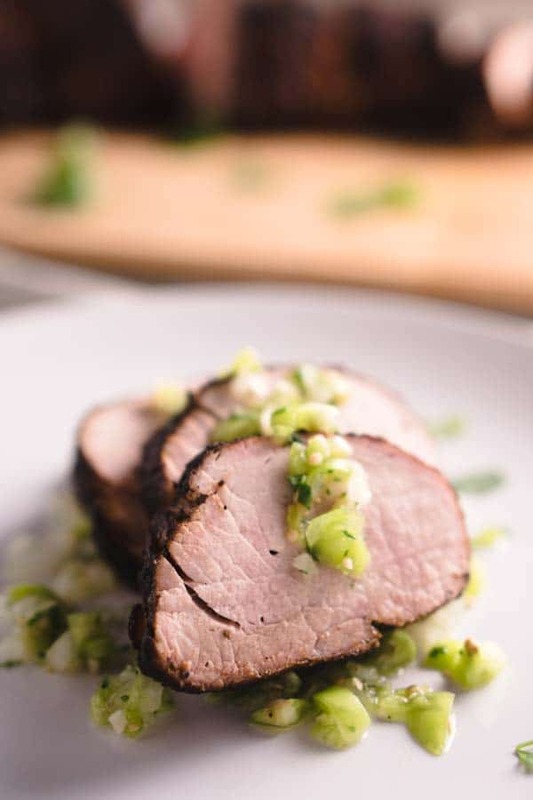 This low carb pork tenderloin recipe was a lot of fun! 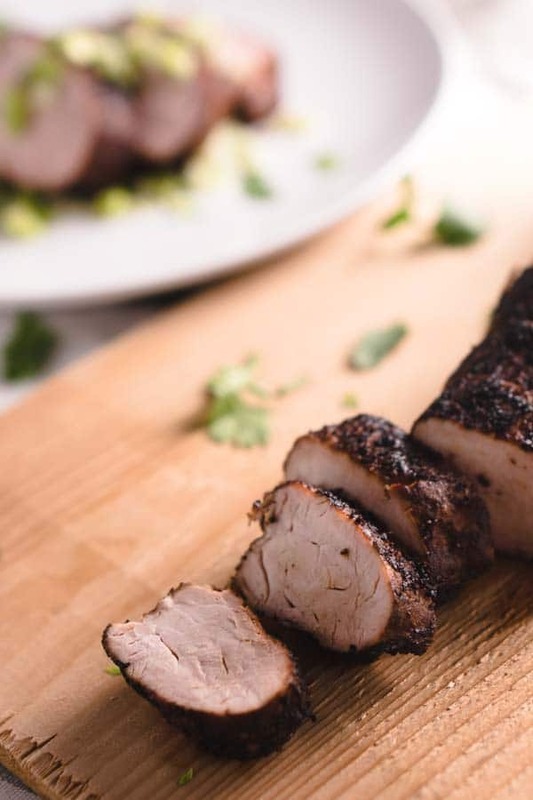 Believe it or not, my partner and I tag teamed this from conception to cooking to bring you the best pork tenderloin recipe we could mastermind. It’s so bizarre because he ordinarily doesn’t like to cook or take an interest in developing recipes, but get him in front of a smoker or grill? GAME. ON. He gets so stoked. 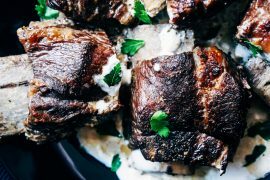 But honestly, who doesn’t love a good keto pork recipe? I genuinely enjoyed sharing the cooking process with him, and I’m fairly confident he had fun too, so I’m hoping I can rope him into more collaborations! Fingers crossed! ? The pork tenderloin is lean, but it typically comes with some pieces of fat and tough silverskin (aka fascia for the anatomy-minded folks) to remove. Cut off the fat and silverskin layers that encase the muscle before applying any rub. We liberally coated the pork with yellow mustard before applying the dry rub; this prevents the dry rub seasonings to bind to the meat better instead of just melting off during smoking. Nothing fancy, just yellow mustard. 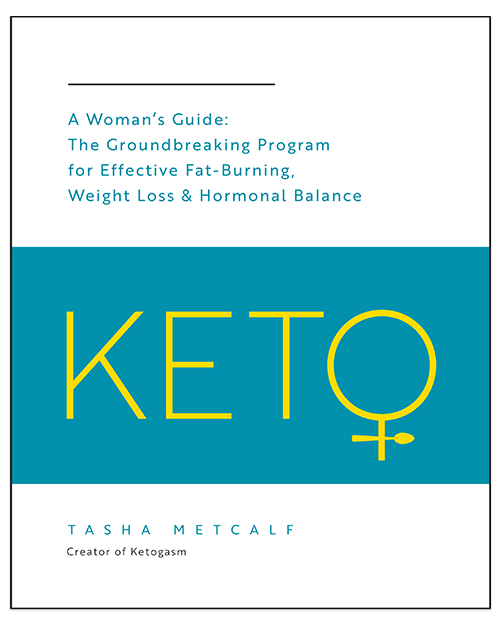 The dry rub is the same mixture we used for our smoked keto chicken wings recipe! Once you’ve applied the rub, wrap the entire pork tenderloin in plastic wrap and refrigerate for at least a couple of hours. If you have the time, you can let the pork sit in the fridge overnight. Remove tenderloin from the fridge and allow the meat to come to room temperature. Just let it hang out on your counter for about 30 minutes. While that’s happening, go ahead and get your smoker ready. Using the wood of your choice (we used hickory), set the temperature up to 200 degrees Fahrenheit. Get a pan piping hot, remove the plastic wrap, and quickly sear each side. It’s not a sear to cook the meat through, just a quick once-over to lock in the flavors. 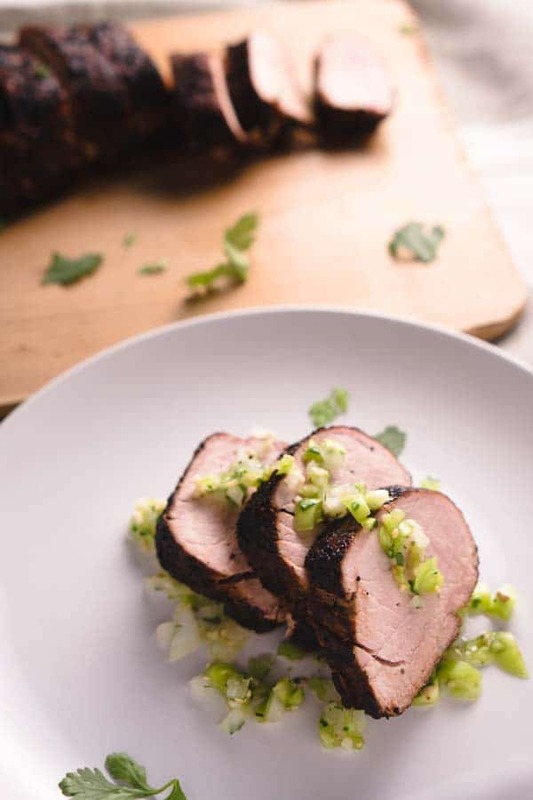 Now bring your low carb pork tenderloin out to your smoker! Smoke until the internal temperature reaches 145 degrees Fahrenheit for medium rare or 160 for medium. 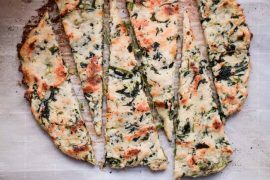 This recipe took us about 2 hours, just keep your eye on the temperature to ensure the correct timing with your smoker… they’re all a little different! Once you’ve hit your desired temp, remove it from the heat and give it time to rest. Don’t even think about cutting into it yet. You’ve got to let the meat rest a good 10 to 15 minutes before slicing! 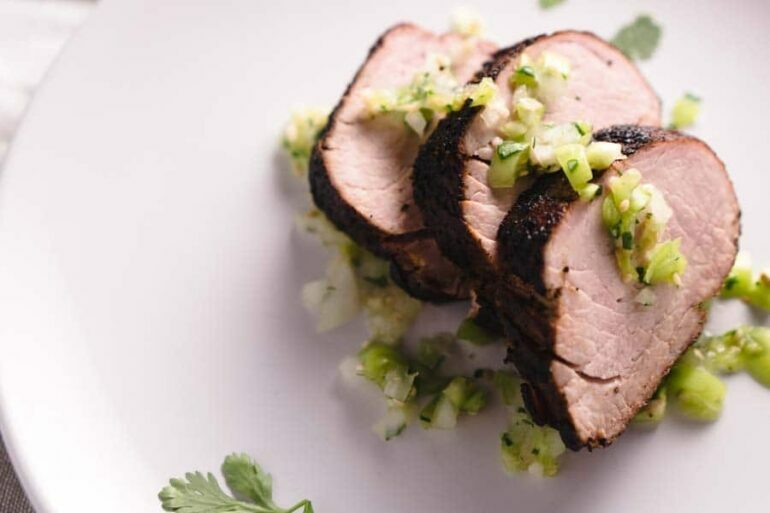 Coated in dry rub and smoked to perfection, this pork tenderloin recipe takes it to the next level! Remove fat and tough silverskin (fascia) from pork tenderloin. Coat pork tenderloin in yellow mustard. 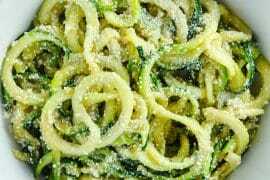 Combine salt, pepper, garlic powder, chili powder, oregano, and parsley in a small bowl or shaker. Evenly distribute the dry rub over the tenderloin. Wrap the tenderloin in plastic wrap and place in refrigerator for 2-24 hours, depending on your timeframe. Remove tenderloin and allow to reach room temperature by resting on counter for 30 minutes. Start smoker with wood of your choice and set to a temperature of 200 degrees Fahrenheit. Heat a large frying pan or skillet over high heat and sear pork tenderloin on all sides. Place pork tenderloin on smoker. Smoke until internal temperature reaches 145 degrees Fahrenheit for medium rare and 160 degrees Fahrenheit for medium. This will take approximately 2-2.5 hours, but time may vary depending on your smoker set-up. Base cook time off of the internal temperature. 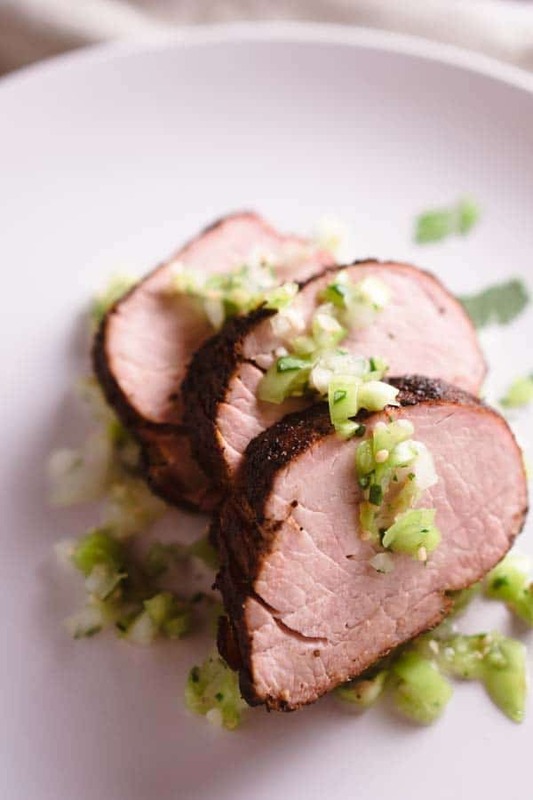 Remove pork tenderloin from heat and let rest 10-15 minutes before slicing. 1 serving = 1/4 of the pork tenderloin.